FROSTTIDE - AWAIKENING LTD. EDIT. (DIGI) | Online Shop | Wizard LTD. Album: "AWAIKENING LTD. EDIT. (DIGI)"
FROSTTIDE are a five-piece melodic/folk metal band formed by Joni Snoro back in 2009. They released their first EP called „Dawn of Frost“ in 2010 and won the „Year's underground act 2011“ trophy at the Finnish Metal Expo. They have already played shows with KORPIKLAANI as well as festivals together with the likes of SABATON, FEAR FACTORY among other bands and released their second EP „Our Journey“ – again singlehandedly - in 2012. Now they have finished the recording of their debut album; “Awakening” will be out August 30. “This record is a concept album that tells the story of a group of warriors that embark on a mission with the aim of helping a village against an enemy invasion. The tracks in this album have been arranged to take the listener into a musical journey.” states mainman Joni Snoro. Melodic and technical riffs, aggressive vocal lines and fast drumming accompanied by magical keyboard atmospheres form part of this epic experience. The album title, "Awakening" relates to the story mentioned but also relates to the actual status of the band. After the recordings of the well-received EP “Our Journey” were completed, the band went through line up changes and has grown up musically which led to the ambitious and outstanding debut album. 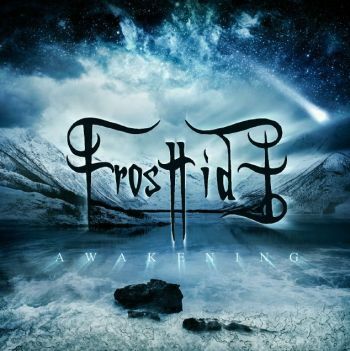 FROSTTIDE are not afraid to show everything they are capable of and this record proves it! They are young, very ambitious and the music is simply beautiful – melodic and dark yet intense and very heavy! All that is FROSTTIDE!